Children listen to Sandra Rosales as she reads a book in the story-telling event for Dia De Los Ninos at the McAllen Library on Sunday, April 29, 2018. McALLEN — The McAllen Public Library is doing its part to ensure the nation be placed in sound hands. 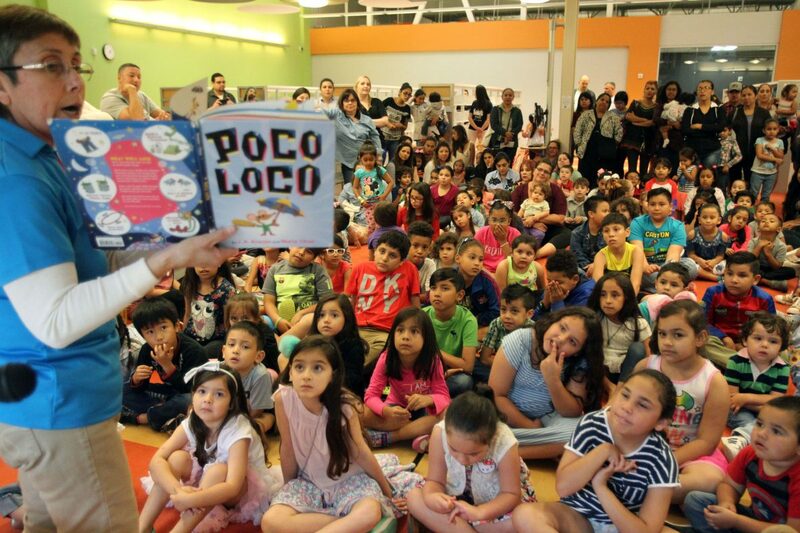 In a Dia de los Niños, Dia de los Libros celebration held Sunday, library staff gave away hundreds of books to young, growing minds. 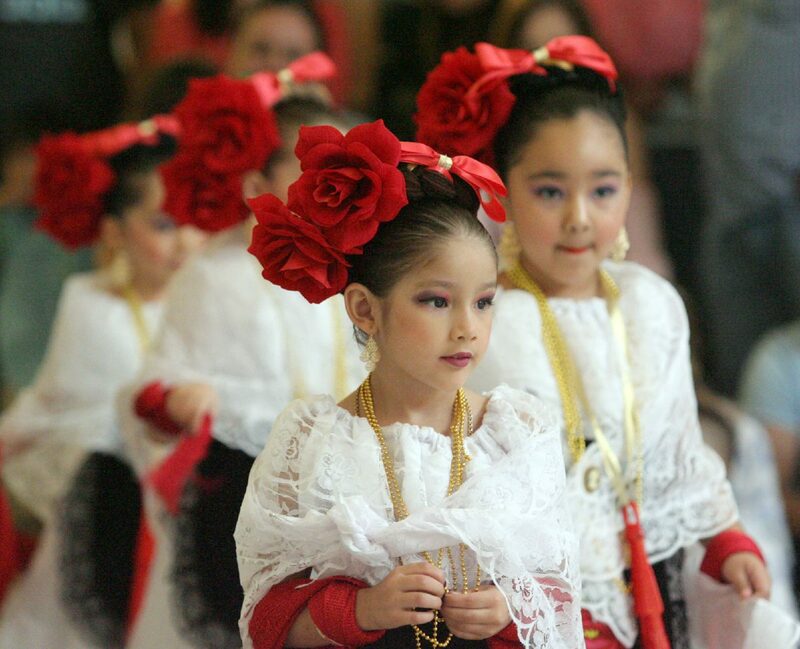 While the holiday originated in Tantoyuca, Mexico, it has come to be a part of South Texas culture. Celebrations promoting children’s welfare through cultural and entertainment activities took place throughout the community all weekend. April 30 is the actual day of observance. As part of the American Library program, this is McAllen library’s third year hosting the event. Las Palmas Community Center Ballet folklorico dancers enters the stage during the Dia De Los Ninos celebration at the McAllen Library on Sunday, April 29, 2018. The group entertained the crowd that gathered at the lobby. According to Garcia, more than 700 children received books last year. With such a turnout the library made preparations expecting that figure to rise. Families stood in a line wrapping around the room, waiting to reach the book station where their child could select from an array of options. The children’s corner staff, directors and teen volunteers were on hand from 3 to 5 p.m. conducting story-time readings, games and festivities— such as maraca crafting. Crayons and supplies rested on tables, inviting children to engage in a creative activity. Daisy and junior Girl Scout members from Troop 90 munched on popcorn provided while waiting for the performance by Las Palmas Ballet Folkorico. Parents sat and read to their small children while against the walls and in lounging areas. While Naya Fuentes from San Juan calmed her 4-month-old son by rolling his stroller back and forth, her two daughters, ages 6 and 3, flipped through the pages of their newly acquired books. Fuentes said they are library regulars and praised a job well done by the public resource.